1. Have a Clear Goal – before you start anything it is important to know yourself and what you want to achieve. Only once your ideas about what you want to achieve are clear, can you embark upon how to achieve it. Therefore, think as to what exactly do you want to do with energy healing. 2. Selflessness – these days when everything around us is changing and the world is becoming more and more commercialized and monetized it is very important to learn the art of selflessness. That is to say, thinking beyond your own self and thereby thinking beyond the worldly gains. 3. Focus On the Aura– this is very important and it is head there many people make the mistake. While doing energy healing they start focusing on the physical body; which is something that the modern medicine does. You have to think beyond and focus on the energy of The Spiritual body. 4. The Art Of Giving – needless to say, when you are focusing on energy healing you have to think about just one thing and that is – to achieve the lasting healing effect. This does not happen when you expect something in return; hence we have to learn to give without expectations. 5. Practice Hard and Practice Often – like everything else, results of spiritual healing can be seen only after very hard practice; and one can achieve better and better results by doing it often. The more you practice the more is the effect as you progress. 6. 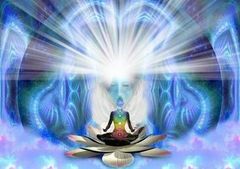 Removal Of Blockages – before doing any spiritual or energy healing on anyone, it is important to first remove your own blockages; which may be in the form of physical, emotional, mental or spiritual manifestations. When you do energy healing you should have only one thing in mind – achieving the healing. 7. A Simple and Holistic Lifestyle – this is perhaps the most important thing that you should keep in mind if you want to become an energy healer. What you are yourself makes all the difference in what you want to transmit and hence – if you want to transfer positivity and healing then you yourself should be leading such a life. To do this it is important to follow the Principles of Yamas and Niyamas.